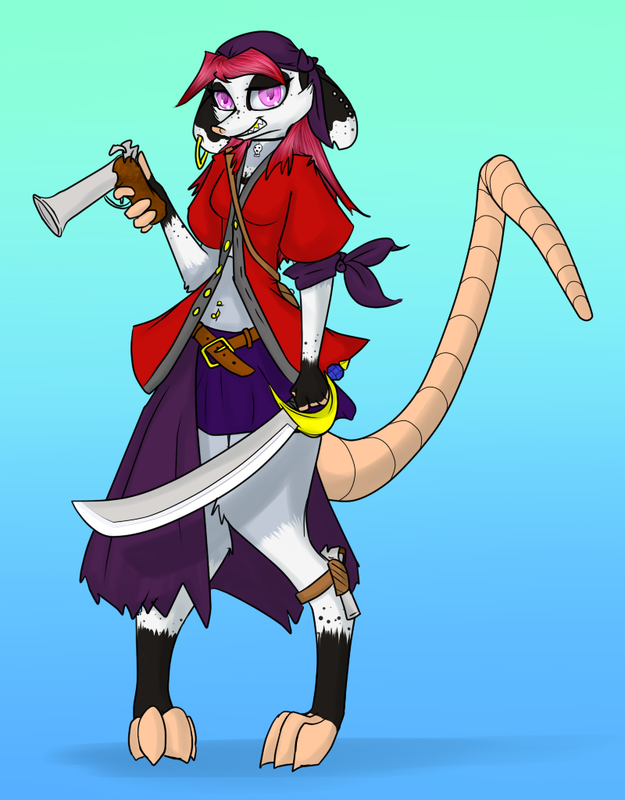 My friend's sister's birthday was a few days ago, and my friend asked me to draw her a female, opossum pirate. I wasn't sure how interested my friend's sister was or how serious my friend was being, but the I thought it was an interesting idea so I drew it regardless. I hope somebody can enjoy it at least.